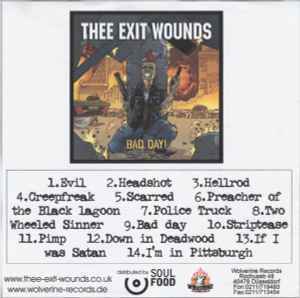 Thee Exit Wounds ‎– Bad Day! Handwritten CDr comes in a standard plastic CD sheet. Printed paper sheet cover.